GLENDALE, ARIZONA --- Phoenix Coyotes General Manager Don Maloney announced today the Coyotes have signed defenseman Brandon Gormley to an entry level contract. As per club policy, terms of the deal were not disclosed. Last season, the 6-foot-2, 195 pound defenseman played 58 regular season games with the Moncton Wildcats (QMJHL) recording 43 points (9-34-43) and 54 penalty minutes. In two games with Moncton this season, Gormley has recorded five points (1-4-5). "We are very pleased to sign Brandon," said Maloney. "He is a talented young defenseman and we are confident that he will be a big part of our organization for years to come." 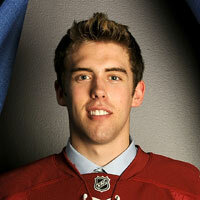 Gormley, 18, was selected by the Coyotes in first round, 13th overall, in the 2010 NHL Entry Draft.